Are y'all ready?!? I've been so excited about this, trying to work out all the details. I truly hope you'll join me on this one. You'll love it, I promise! I am providing the instructions in the quilt along for a twin size quilt, 60" x 84" without borders, 68" x 92" with borders. Today I'm going to give you the fabric requirement. This is a very "organic" pattern in that it's going to be different for everyone. The list below is going under the assumption that you aren't using ANY focal fabrics at all, just straightforward pieced blocks throughout. About the focal fabrics. As you can see in my sample, I designed this to work with your hoarded focal fabrics, ranging in size from 2-1/2" to 12-1/2". I'll walk you through getting them into the quilt. Just start searching your stash and finding those much-loved pieces and, if you'd like, a complimentary fabric that will work for bordering them. You can see that on my focal blocks, I used complementary fabrics. 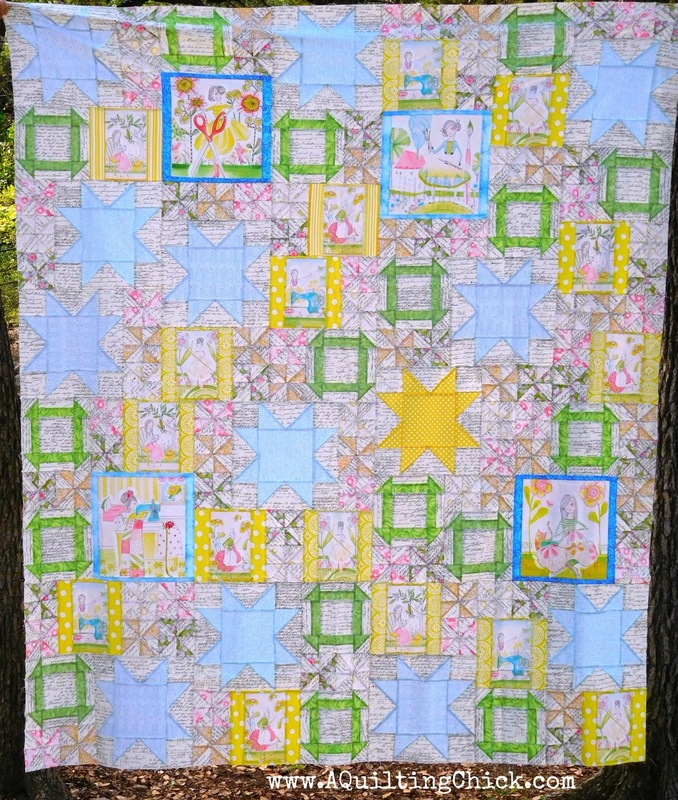 You can also choose to use fabrics that you're already using in the quilt for the stars, churn dash, or pinwheels. If that's the case, you will want to add some additional yardage. 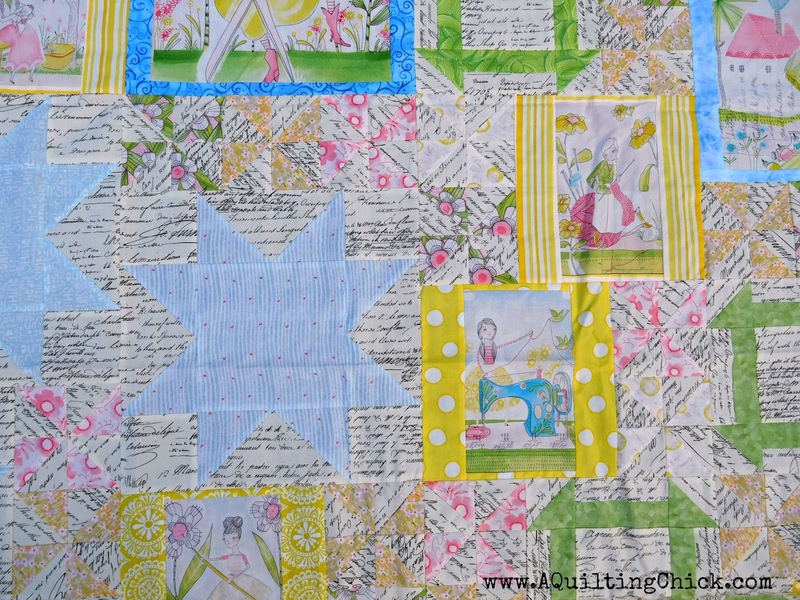 This is a very fat quarter friendly quilt. You can choose to use a myriad of fat quarters instead of yardage. THAT'S FINE! This is your quilt. Choose what makes you happy. As stated, I'm going to provide you with the instructions for this quilt in a twin size. There is also a queen size and I'm working on getting lap and crib sizes done too. I'll make these available in a pattern in my shop when we kick off the quilt along. 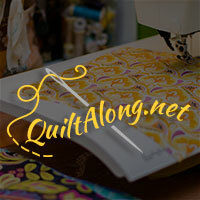 I'm planning Monday releases for each step of the quilt and we will start on MARCH 5! I'm so, so excited! I can't wait to see what you're working with. I think we will start sharing our fabric pulls next Monday with a linky party. I'll show you what focal fabric I'm going with. the Churn dash is my fav block !!! so happy to see so many of them! I started on time, but I'm finishing a little late - tomorrow, July 31, the top will be finished! Thank you so much for this great design idea!